Succeeding in the fast casual restaurant business is often as simple as consistently executing on what you do best and remaining open to the small changes that help you take advantage of new opportunities. The burger business has been booming in recent years, growing 3.2 percent between 2013 and 2016 and raking in more than $90 billion in sales in 2016, according to research firm Technomic. As such, industry experts expect even greater growth for burger sales over the next few years. 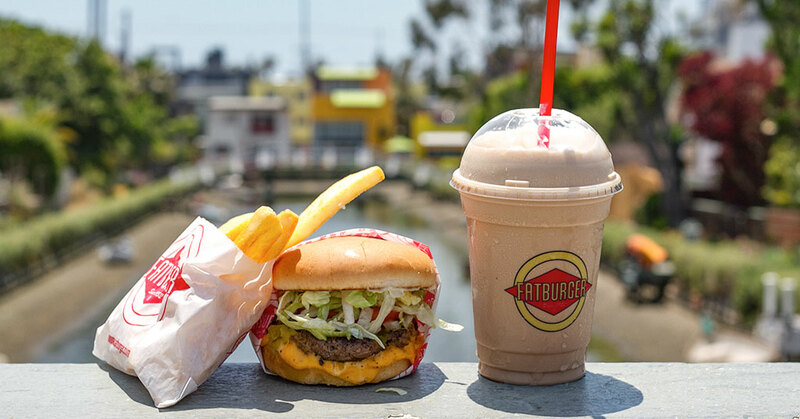 This industry boom means Fatburger has a tremendous opportunity to continue our own growth, and we’re eyeing several opportunities and trends in the market to help us take advantage of the surge in burgers’ popularity. Before we look at where we plan to go, it’s best to start with how Fatburger became the international brand it is today. Our founder, Lovie Yancey, opened her first hamburger stand—originally called Mr. Fatburger—in South Los Angeles 70 years ago in the post-World War II years. During this time, the hamburger was the fastest-selling sandwich in the U.S., and her business became a fast favorite in the neighborhood around the original location on S. Western Avenue. After breaking up with her boyfriend, Yancey dropped the “Mr.” from the stand’s name and officially became Fatburger in 1952. Before long, she was staying open late to meet the growing demand for her burgers from night shift and early morning workers. In the early days, entertainers such as Redd Foxx, James Brown, and Ray Charles were regular customers, but Fatburger’s popularity with the Hollywood crowd exploded in 1973, when Yancey opened her second location on La Cienega Boulevard in West Los Angeles. In the following years, Fatburger was featured on the show “Sanford and Son,” mentioned in Ice Cube’s song “It Was a Good Day,” and made it into David Letterman’s Top 10 List of things he’d miss about Los Angeles when he moved to New York to start “Late Night.” Yancey began selling Fatburger franchises in 1981, and more locations soon began popping up across the U.S.
Today, there are more than 200 Fatburger locations open or under development in 32 countries, with recent openings in Panama, Cairo, Shanghai, Beijing, and Qatar. Seventy percent of our business is still focused on the United States, with 15 percent of our sales coming from Canada and another 15 percent coming from other international locations, mainly in Asia and the Middle East. When the mid-2000s financial crisis struck the U.S., we were able to continue growing by adapting and refocusing our expansion plans on locations in places like China and the United Arab Emirates, where capital was more available at the time. Our current plans include growing to more than 350 units through continued expansion both in the U.S. and abroad. We’ve also continued to grow our business by expanding into the world of consumer packaged goods by selling Fatburger-branded frozen patties in Walmart stores across the country. While sales of burgers have climbed steadily in recent years, competition is still stiff, especially among fast casual restaurants. Partnerships with Grubhub, Postmates, and UberEats help us differentiate from our competition by providing a service many consumers demand. In today’s world with our busy lifestyles, delivery adds a layer of convenience that attracts those who don’t want to take the time to drive to pick up their food, or who live in areas that make it inconvenient to drive to one of our locations. Partnerships with third-party delivery apps are also convenient for the business owner, as they eliminate the need to put time, energy, and resources into developing our own apps. In addition, by tapping into their well-established user bases, it gives us the ability to boost brand visibility with customers both new and old. These partnerships have been an important strategy for our stores, as some of our franchisees have seen an increase in marginal revenue with double-digit increases in same-store sales. 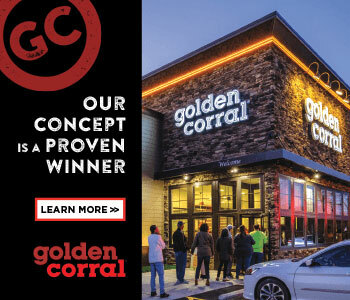 Franchisees don’t need to be in the business of delivery—they can focus on serving high-quality burgers, shakes, and fries without having to incur the costs of offering delivery in house, some of which include labor, insurance, and transportation to name a few. Our focus on making delicious burgers the same way Lovie Yancey made them 70 years ago has allowed Fatburger to become a favorite not only in Hollywood, but around the world. By taking advantage of new opportunities in emerging markets, we’ve been able to achieve important, significant growth and expand the brand worldwide. We’ve also found a way to accomplish prominent same-store growth by taking advantage of new technology to offer delivery services. As sales of burgers continue to grow in the coming years, Fatburger is poised to remain highly competitive in a crowded fast casual restaurant field. Andy Wiederhorn is the CEO of Fatburger and the founder of Fog Cutter Capital.